Three thousands years of history engulf the visitor to axum three thousands years which stretch from the fascinating queen of sheba to the present day Ethiopia still adjoining the old and the new legend has it that the holy ark of the covenant was brought here before the destruction of the temples, and axum was reputed to be the second Jerusalem. Littered with the ruins of palaces, underground tombs, stele and manuscript ions, the town once formed part of the great axumite kingdom that described as the last of the great civilization of antiquity to be revealed to knowledge. 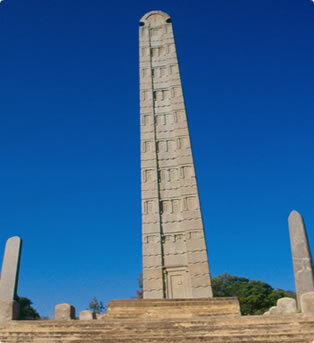 Axum is undoubtedly one of the most import and spectacular ancient sites in sub Saharan Africa. UNESCO lists it as a world’s heritage site.